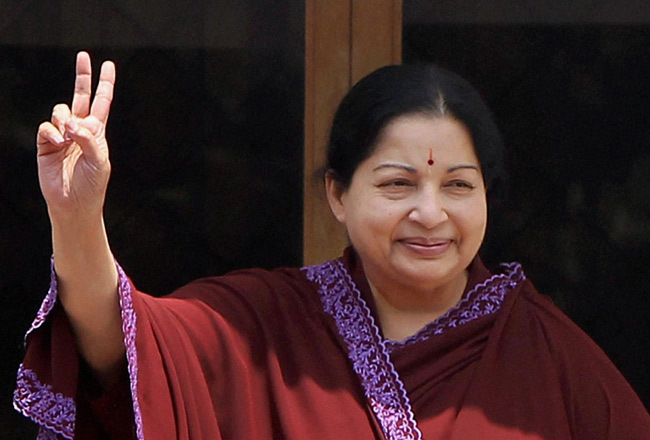 Two days after four more fishermen were arrested by the Sri Lankan Navy, Tamil Nadu Chief Minister Jayalalithaa on Saturday sought Prime Minister Narendra Modi's intervention for their release besides 90 boats seized. In a letter to Modi, Jayalalithaa apprised him of the latest arrest of four Indian Indian fishermen by the Lankan Navy in the early hours of June 2, who were then taken to Kankesanthurai. She said the fishermen had ventured into the sea from Kottaipattinam in Pudukottai District on June 1. "I am constrained to point out that despite my repeated requests, the seized boats and gear belonging to the fishermen of Tamil Nadu have not been released by the Sri Lankan authorities so far." Earlier, on May 31, seven fishermen from Tamil Nadu were arrested the Lankan Navy. She requested Modi to take urgent action to secure the release of the 11 fishermen and a total of 90 fishing boats without any delay. "May I request your immediate intervention in this matter," she said in the letter, a copy of which was released to the media.